Wellbank Mains Farm / Bankwell Stud | Home of Welsh section C stallion "Ike" Wellbank Mains Farm / Bankwell Stud – Home of Welsh section C stallion "Ike"
Bankwell Stud is the home of Welsh section C stallion, Gem’s Ike. Ike, is one of only a few Welsh section C stallions standing at stud in the North East region of Scotland and has already produced 3 stunning foals in 2012 from his first 3 mares covered. 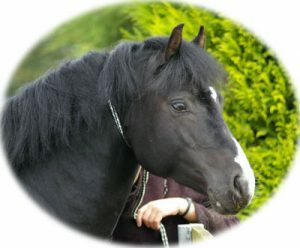 Gem’s Ike is our Black, Welsh section C stallion born May 2007 and is an excellent example of his breed. For more information about having your mare covered by Ike, please contact us or learn more about our stallion, Ike. - Wellbank Mains Farm / Bankwell Stud Home of Welsh section C stallion "Ike"